If you’ve had your eye on an small SUV but you’re afraid you can’t fit the one you want into the budget you have, you need to take a look at this list. There are several excellent SUV models that you can choose from that will start at prices less than $25,000 to make sure you can have the drive and the experience you want with an SUV that fits your needs easily. Not only will you have the drive you’re looking for with the features that make a lot of sense for you, this SUV brings you standard AWD, plenty of cargo capacity, excellent ground clearance, and the fuel mileage you’re looking for. Take a ride in this SUV and see how this vehicle will work to get the job done that you need on the road. This SUV is one that brings you the dynamic drive you’re looking for when you want something with a European vibe to make sure you can have the versatility and capability you need. Take this SUV out for a drive and admire the fuel mileage and the power you’ll feel that comes at a price you can easily afford. One of the most popular compact SUV models offered on the market is the RAV4. This vehicle has the size you’re looking for but the affordability you need. This is a reliable, efficient, versatile, and capable SUV that shows up with the power you’re going to admire and the ride position that makes it easy to take it on some light trails. 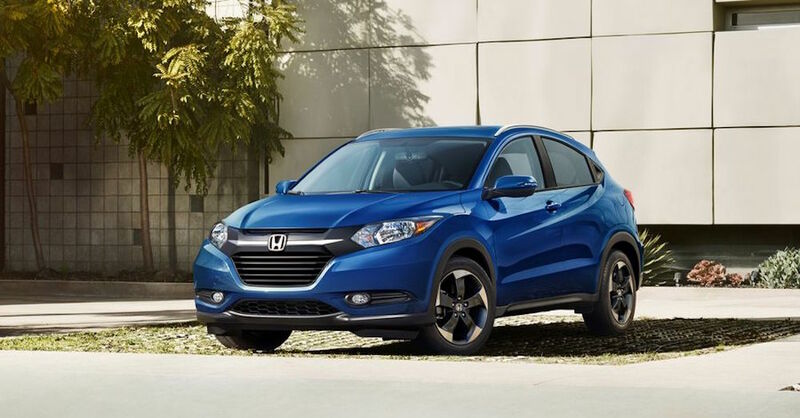 When you’re ready to have a subcompact SUV that can give you the efficiency of a sedan but the roominess of an SUV, the Honda HR-V is the one that you’re going to want to drive. To get a little more across the board, you can also take a look at the Honda CR-V. Take a look at this impressive small SUV and see if it can be the one that will provide you with the comfort and the quality you need at the price that you’re able to afford. This small SUV from Kia is one of the original models to come from the Korean automaker to be part of our market. It has grown to be an excellent model with the comfort and features you’re sure to admire while being offered at a price that you can easily afford. Take this SUV out for a drive and see if it will be the one that’s right for you today. Get behind the wheel and be amazed by the qualities and the affordability of this impressive small SUV. This is a vehicle that allows you to have the spacious size you want while enjoying an active vehicle that’s agile on the road. The Tucson can provide you with as much as 30 mpg on the highway to make sure you can have an affordable ride. One of the most impressive models you’re going to find on this list is the Nissan Rogue. This vehicle is stylish, affordable, and active to give you the comfort you want and the qualities you deserve. Take a look at the shape and the design of this beauty and let it become the model you’re going to want to enjoy when you drive. As the compact SUV that you’re sure to admire and enjoy on the road, you need to take the Mazda CX-5 for a test drive today. This SUV can let you feel what “zoom zoom” means and make it easy for you to know you’ve made the right choice with the vehicle that you’re going to experience every day.